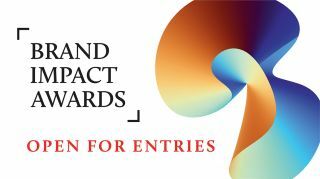 +$Celebrating the very best in branding produced around the world, the sixth annual Brand Impact Awards is now open for entries, with the London-based ceremony taking place this September. +$There’s plenty of time to enter your best branding work, with the deadline for entries end of play 31 May 2019 – but submit before 28 March and you’ll get an early-bird rate on ticket prices to the September event. +$If you missed last year’s celebrations, here’s a brief look at the awards (and drinks) that were dished out! +$Who should enter the Brand Impact Awards? +$Entries are welcome from design studios, consultancies, branding agencies, ad agencies, in-house design teams and brand owners, and work can be branding programmes and branded campaigns commissioned nationally or internationally. +$It doesn’t matter if the work comes from a massive agency or a small studio, just as long as it catches the eyes of the judges. +$How are the BIAs judged? +$Entries are judged on their originality, how well they serve their original brief and consistency – specifically consistent quality of idea and execution across two or more brand touchpoints. +$They are also judged in context of their market sector – product design is not lumped in with sports, just as self-branding is judged exclusively from fashion. +$And lastly, campaigns that extend or enhance existing brands are accepted, unlike with many other award schemes.